NAS mentors take on a challenging, yet rewarding role. You will play many parts throughout the program: teacher, coach, counselor, advisor, resource and role model. Your skills, character and knowledge will be passed down to a mentee who will seek to emulate your actions and accomplishments. Being a mentor involves listening and speaking, supporting and pushing and correcting and encouraging. Become a part of something meaningful and real and will last for generations in Loudoun County and beyond. See the NAS Mentor Agreement here. 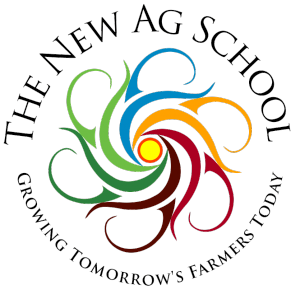 Doug was instrumental in the creation of the New Ag School, because he saw the need to educate future generations in the importance of agri-business. Doug has been a winemaker for more than three decades and a winery owner for more than 18 years. Doug was employed in the wine cellar at Buena Vista Winery in the Carneros District of California. Over the ten years of his employment, Doug had a chance to work with many fine winemakers including the legendary Andre Tchelicheff. He continued his education in both enology and viticulture at U.C. Davis and Santa Rosa Junior College. Doug was becoming an accomplished home winemaker while he continued to work and learn as a professional. After returning to the East Coast, Doug served as winemaker for Loudoun’s Tarara and Windham (now Doukenie) wineries. He then opened Fabbioli Cellars, with his wife Colleen, in 2000. The 6-acre vineyard is known for its award-winning red wines. Severino grew up on a family farm in Oaxaca, Mexico. Being the oldest son, his lessons of working on the farm came from his father as well uncles. Farming, hard work and teamwork on larger projects was the culture in his formative years. Since his arrival in the United States in 2003, Severino has gleaned leadership experience and transferrable skills through working in vineyards and construction projects. In 2006, Severino used these traits to run his own labor crew focusing on vineyards and construction. Currently, Severino has up to 20 workers at a time and tends to over 25 farms around northern Virginia. His operation on each farm may be limited with monthly vine tending and harvest or more in-depth with wine production, bottling, construction projects and other crops. Coordinating Harvests on all these vineyard locations is quite a juggling act of which his seasoned and positive attitude make it all happen successfully. Kerem has worked in vineyards for nearly his entire adult life, as he managed and reported on many vineyard and wine production projects in direct interest to the Virginia wine industry during his graduate studies program. In 2003, Kerem created Hillsborough Vineyards, where he currently holds the position of GM, Winemaker and Vineyard Manager. Hillsborough is a well renowned winery in Northern Virginia; producing world class terrior-inspired wines with rare and unique grape varieties. Today, Kerem’s ambition is to facilitate the education of newcomers and current industry members through different programs around Northern Virginia. Kerem takes pride in sharing his knowledge of the industry, as he currently works as an Adjunct Professor at the Northern Virginia Community College, teaching Viticulture and Winemaking courses at the Loudoun Campus. Tyler is the owner and operator of Wegmeyer Farms, located in Hamilton, Virginia. The farm is a rural destination for thousands of families in the northern Virginia and Washington, D.C., area, who enjoy delicious strawberries in the spring and a vast array of pumpkins in the fall. In addition to the vibrant u-pick operation, the Wegmeyers have a CSA and are major suppliers for wholesale markets in the region. In 2016, Tyler was named the Virginia Farmer of the Year by Virginia Cooperative Extension. Tyler and his wife Harriet have 3 boys, Torsten, Tucker, and Colden. NAS mentees are taking more than just a job. Yes, you’ll be getting paid, but you will acquire a great deal of knowledge that you will practice, apply and turn into relevant skills. This is more than just a school. You will have to read and complete modules, but you can expect to be outside getting your hands dirty and experiencing agribusiness first-hand. If you would like to become a mentor, a mentee, or would like more information about our programs, we’d love to hear from you! You can also contact us via email or phone with the info at the bottom of the page.